Iraqi Kurdistan Is Booming. Will It Ever Be a Separate State? As American troops withdraw from Iraq, anyone searching for rays of progress amid the country’s miasma of corruption, sectarian strife, and political stalemate might look to the foothills of Sulaimaniyah, Kurdistan. There, rising rapidly out of some 400 dusty acres, is a gleaming constellation of glass, steel, and Jerusalem stone that is the new campus of American University of Iraq, Sulaimani (AUIS). The venture, which now educates some 500 Iraqi students on the American model, is a sign of Iraqi Kurdistan’s evolution toward a modern, flourishing society. But when I visited the American University this past November, there seemed to be one question on the minds of nearly every Kurdish student I met: When can we get a separate state of Kurdistan? It’s understandable why Kurds are asking this question. Seeing all the construction cranes in Erbil and Sulaimaniyah, the bustling markets and the passionate youth, one gets the sense that Iraqi Kurdistan is itself living through a protracted spring—a moment of economic and political opportunity unprecedented in the modern history of the long-suffering Kurdish people (who, with some 25 to 30 million Kurds spread across four Middle Eastern states, are widely considered to be the largest stateless people in the world). Beyond the university, Kurdistan is booming, with an estimated economic growth rate for next year predicted to be as high as 12 percent. Investment is pouring in, not just from a vast array of Turkish companies, but from American oil companies like Exxon, and from construction, hotel, and retail companies throughout the Arab world. If the claims of the Kurdistan Regional Government are correct—that it possesses 45 billion barrels of oil reserves—it would rank sixth in the world in oil wealth. And unlike your typical Mideast oil economy—mired in corruption, falling short in democracy, and leaving a third or more of youth unemployed—Kurdistan boasts robust political pluralism. The two long-ruling parties and dominant families (Massoud Barzani’s Kurdistan Democratic Party and Jalal Talabani’s Patriotic Union of Kurdistan) have patched up their differences since the civil war of the mid-1990s. Though their power-sharing arrangement can appear corrupt and stifling to anyone not a member, in the 2009 regional elections the ruling coalition squeaked by with just 60 percent while facing a fresh opposition list called Gorran, Kurdish for “change.” In Kurdistan today, there is a freer and more open—though far from perfect—climate for expression than in Iraq as a whole. Kurdistan, in short, is doing so much better than the rest of Iraq that it’s perfectly logical for its citizens to wonder why they can’t simply head out on their own as an independent nation—as they have long aspired to. What, then, should be the American answer to the 95 percent or more of Iraqi Kurds who would vote for independence tomorrow if it were possible? The first part of the answer is that it is not possible. A declaration of complete independence by Iraq’s Kurds would be met with a campaign of military pressure, if not outright attack, and economic strangulation from every one of Kurdistan’s neighbors. The remainder of Iraq would not accept national dismemberment—not merely because of the loss of huge oil reserves, but for reasons of national pride as well. Turkey, Iran, and Syria would also view a declaration of Iraqi Kurdish independence as a provocation to their own Kurds to rise up and seek either secession or the creation of a supra-Kurdish state. All four neighbors would work to ensure that the Iraqi Kurdish state failed. And with control of Kurdish oil pipelines (which run through Turkey) and trade routes, they could do much to bring about this outcome. Fortunately, there is a more practical option for Kurds. We should be encouraging them to summon a parallel to another small and exceptional society: Taiwan, which has long faced a similar kind of threat from China. For all intents and purposes, Taiwan functions as a completely independent country. Yet it also does not flaunt its independence from mainland China. Over the last two decades, Taiwan has cemented a pivotal security relationship with the United States by moving toward, and then deepening and reaffirming, democracy. But Taiwan also edged away from the brink of national suicide by restraining secessionist impulses and pragmatically forging cooperative economic and social ties with the mainland. Once, when a reckless leader almost went too far in pressing a pro-independence agenda, the United States reined him in, using the immense leverage that came with the American commitment to support Taiwan’s security so long as it did not unilaterally—and foolishly—move to alter the status quo. The Taiwan model should be attractive, or at least acceptable, to Kurds in part because of globalization. For many years and probably decades to come, the arbitrary boundaries drawn by Europe over the shattered pieces of the Ottoman Empire will remain the boundaries of modern states. But in a rapidly globalizing world of new kinds of trading communities and new forms of de facto sovereignty, the formal trappings of de jure statehood do not matter as much. If they are smart, Kurds will grudgingly accept their boundaries and work within the delicately negotiated features of Iraq’s essentially federalist constitution to chart their own course. They can use their share of Iraq’s staggering oil wealth to follow in the footsteps of their northern neighbor, Turkey, by building a prosperous and free society. Indeed, if Iraqi Kurds can be persuaded to defer their for-now-impossible dream of Kurdish independence in exchange for the prospect of Kurdish dignity and prosperity, Iraqi Kurdistan could become an epicenter of relative freedom, openness, and economic dynamism—a place people want to come to, rather than a place people want to leave. The United States made many terrible mistakes in its engagement in Iraq over the past nine years. 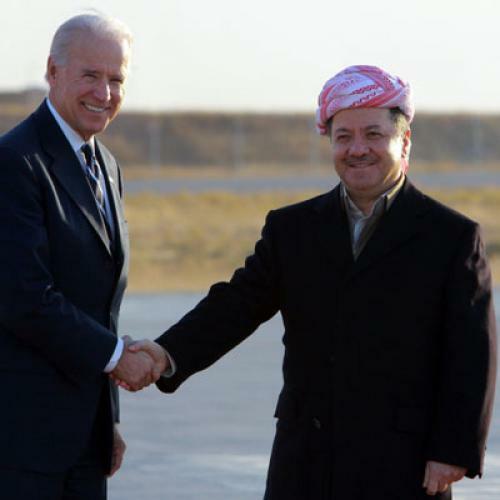 But one thing we got reasonably right—and for which the much maligned American viceroy, L. Paul Bremer, and his colleagues in the senior ranks of the Bush administration have gotten too little credit—is the exquisitely difficult balance we struck between our moral obligation to the Kurdish people and our political obligation to hold Iraq together as one state. The incipient, if still very partial, success story that is Kurdistan today is the fruit of that policy. If Kurdistan’s leaders can accept de facto rather than de jure independence, and if their democracy continues to develops as it has thus far, the United States will have achieved at least something significant for its staggering investment, even if the rest of Iraq continues to flounder and disappoint. Larry Diamond is senior fellow at the Hoover Institution and the Freeman Spogli Institute for International Studies at Stanford University.